Crochet Baby Jacket Set Free Crochet Pattern. 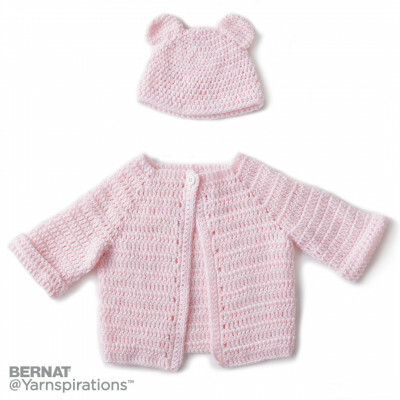 Crochet this matching baby jacket and hat set with little ears on top! Made for 3 different sizes, you can stitch more as they grow!